My profile says, I am a writer, but can a writer not write and still be one? I believe in pacing myself while writing and have a few tried and tested tricks for overcoming the dreaded writer’s block, or so I thought until a few days back. I was wrong on so many levels that it would have been funny had I not been so miserable. My trusted companions, my words, had deserted me without a decent warning. I was a writer who couldn’t write and who just stared into space with vacant eyes, an aching heart and a troubled mind. I tried everything in my book; took long walks, meditated, listened to music, read lots of books. 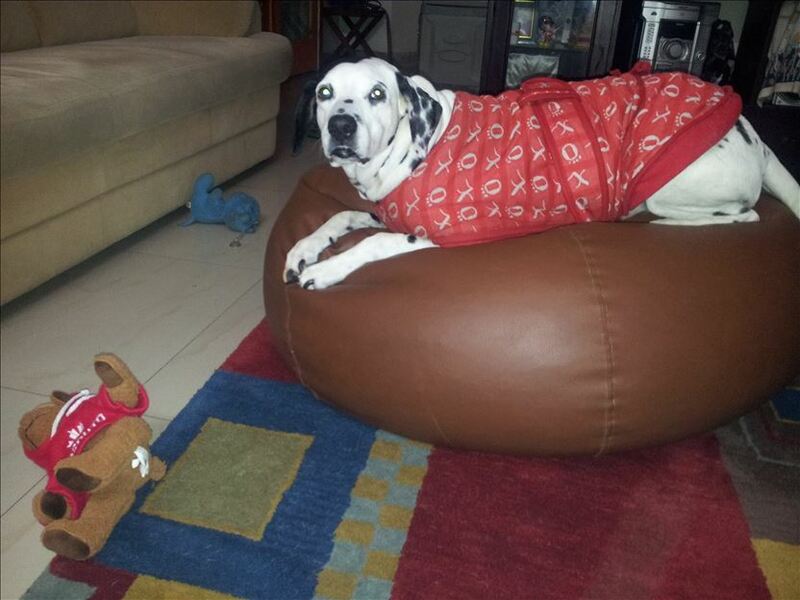 The only thing on my list I couldn’t do was play with my pet, Sparky (a Dalmatian). She has been unwell for a while now and gets tired easily, her kidneys are badly affected and she is also anemic. It breaks my heart every-time I see her lying quietly when we give her the subcutaneous saline drip. We have been administering this to her daily, since January 2015. It was during this time that my son completed his graduation and left home for higher studies. It was a double whammy for me, Sparky’s illness and Kartik’s departure undid me completely. 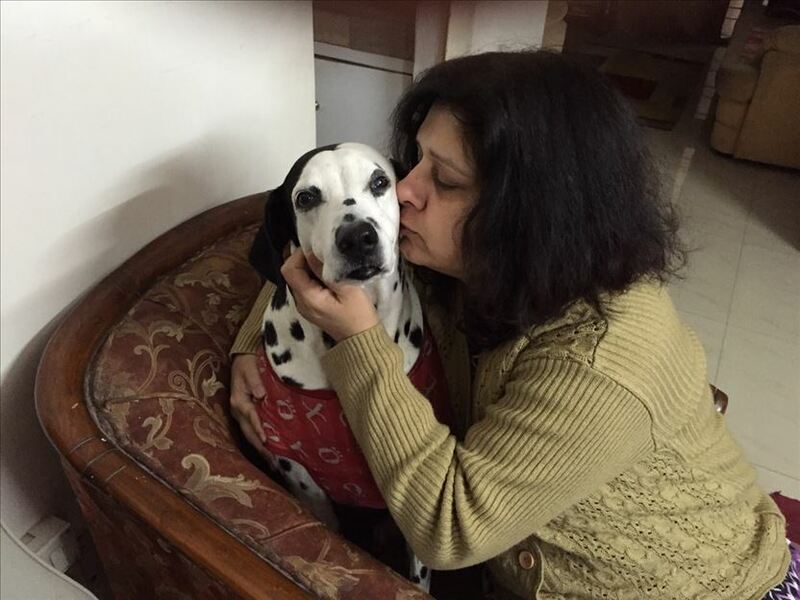 We had to take Sparky to the Vet for her checkup at his clinic in Vasant Kunj, Delhi, and it takes more than an hour to get there by car. Sparky loves to sit by the open window and keeps her head out, ears flapping in the breeze, a huge smile on her face. Watching her enthusiasm and delight for such simple pleasures in life made me realize that if she could be positive and happy in-spite of all her medical problems, I had no reason to give up just because I was at a loss for words, temporarily. Sparky lifted her paw and let it rest on my forearm as if she understood my predicament, her tongue flicked out and licked my face. Just then the phone beeped, it was a whats app message from my son. He had done exceedingly well in his exams and had wanted to share his triumph with his silly old mom. I wrote back,‘I am so proud of you.’ As I looked into Sparky’s adoring eyes, twinkling with unconditional love, I wanted to write about her courage and drive and her brave attempts to fight the disease slowing her down. I re-read my son’s messages and wanted to make him proud of his mother too. So glad the writer’s block is gone 🙂 It’s like a dark era for us, writers! Her memories keep me going. Sparky worked wonders for you and we need to learn from her how to find happiness despite the negative. Congrats for ur son results.